Ruby creator Yukihiro Matsumoto has joined Heroku, the San Francisco outfit that cut its teeth with an online service for building, deploying, and readily scaling Ruby on Rails applications. In recent weeks, Heroku's "cloud" service has expanded beyond Rails to Node.js and Clojure and it intends to embrace additional languages as well, but the Matsumoto hire shows that the Saleforce.com-owned outfit is still very much a Ruby shop. Its "platform cloud" was originally built to ease the deployment of applications in a way that mirrored the effect Rails had on how the company's founders built applications. "Discovering Rails was one of the big motivators for us – it really sped up development compared to other languages. At one point, the average project took us maybe two months to crank out, but when we switched to Rails, the time dropped to two or three weeks," cofounder Adam Wiggins recently told The Register. "But the time to deploy didn't change. It's one thing when you spend two months building an app and a month getting it deployed into production. But when you speed three weeks building it and a month getting it into production, things seemed completely out of whack." 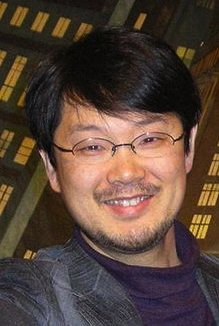 Matsumoto – known as "Matz" among the Ruby community – will serve as Heroku's chief architect of Ruby. "As a member of our platform development team, Matsumoto-san will continue his work on the Ruby language in close collaboration with the Ruby community, keeping the language open and advancing the technology in exciting new ways. Matz will further accelerate innovation for Ruby and make it even friendlier for developers to build world-class apps,” read a canned statement from Byron Sebastian, a Heroku general manager and the senior vice president of platforms for Salesforce.com. In addition to his Heroku duties, Matsumoto will continue to work as research fellow at the Network Applied Communication Laboratory, an open source systems-integrator outfit based in Shimane Prefecture, Japan, and he will remain a fellow at the Rakuten Institute of Technology, a research and development house tied to Rakuten, a Japanese e-commerce company. In late May, Heroku announced that it would "lend support" as Matsumoto sought to expand the Ruby developer community in Japan and around the world, and apparently, everyone involved thought this should be taken a step further.